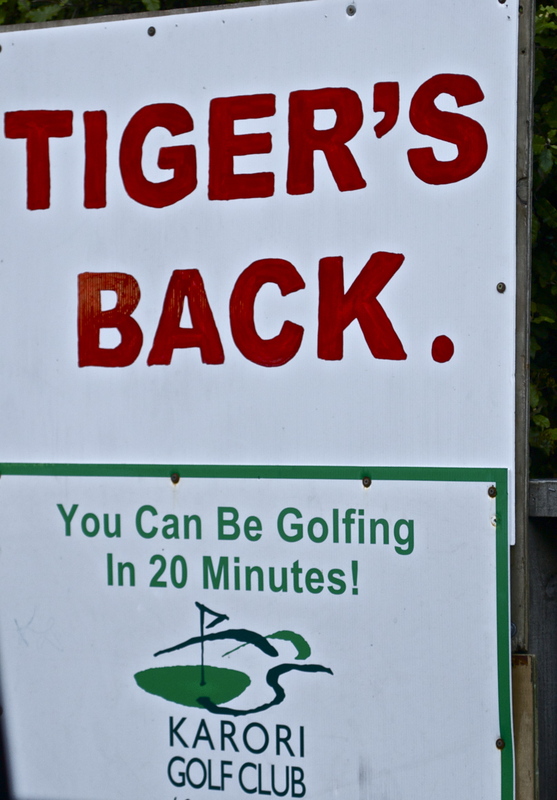 …or so Karori Golf Club fervently hopes, in their cheerfully painted sign on a fence. Love the irony of the glam celeb name on the determinedly home-made signage. Then again, maybe they know something we don’t? ?